You can find Naomi in the pool. She loves "all things good in life" like tea, coffee and a good book. Naomi considers it a huge blessing to meet so many new faces and share her passion for wellness with you! 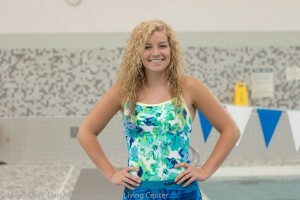 Come join her in the pool this weekend at the Dan Abraham Healthy Living Center.